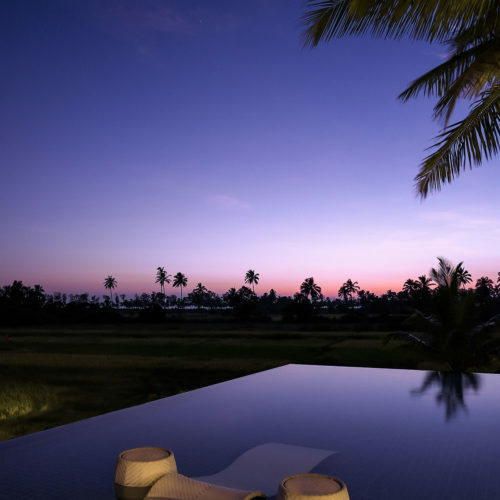 Alila Diwa Goa Located along Majorda Beach, Alila Diwa Goa is situated among the serene paddy fields of South Goa. This contemporary hotel is inspired by traditional Goan design with spacious rooms featuring private terraces and modern Goan décor. Each well-appointed room has a seating area with a 40-inch flat-screen TV, and a private bathroom with a standalone bathtub. 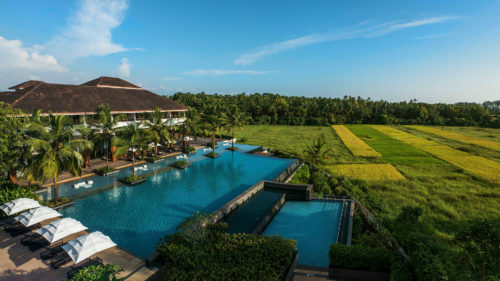 Whether enjoying a romantic honeymoon or a getaway for the entire family, the resort's 153 rooms and suites offer havens of space, comfort and serenity, while the resort's new Diwa Wing offers exclusive luxury with its own lap pool and open air Jacuzzi.